Talking about Marcelo Rosenbaum’s A Gente Transforma at the “Design Positions” lecture. 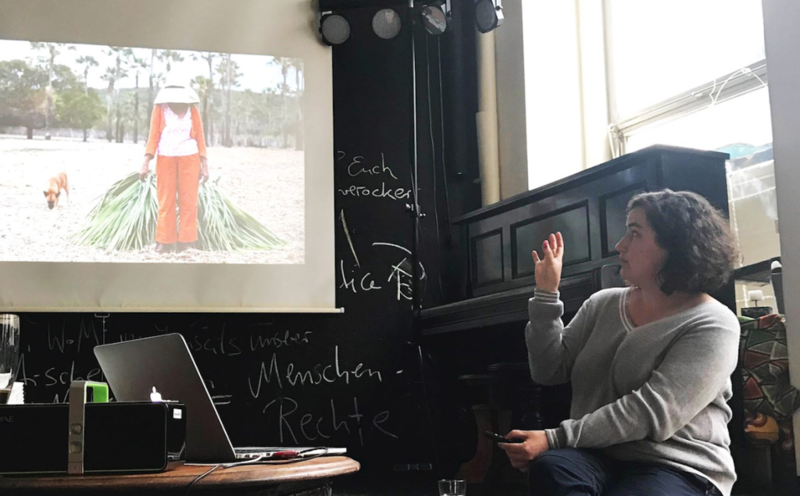 I was extremely happy to be invited to lecture as part of the “Design Positions” lecture series, organized by students of the Public Interest Design masters program at the Bergischen Universität Wuppertal. Taking place in public spaces around the city of Wuppertal, the lecture series seeks to create connections with the city and its inhabitants. The recently founded Public Interest Design program has high ambitions and it was fantastic to get to know some of the students and faculty. I took the chance to lecture about some of my recent projects and what I see as interesting directions for the design practice in the 21st century. Thanks for having me!